The successor to the well-regarded Volkswagen CC has yet to go on sale. 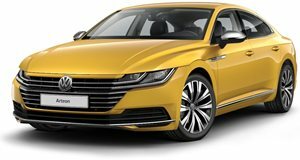 As previously reported, the all-new Volkswagen Arteon’s US launch was (again) pushed back a few months to early this year due to delays in the certification process caused by a backlog in meeting World Harmonized Light Vehicle Test Procedure emissions testing, commonly referred to as WLTP. That testing was supposed to have been completed early this year, meaning now. VW previously targeted a winter 2019 launch, but evidently, that’s not happening. We reached out to VW for an update and were told by a VW spokesperson that the 2019 Arteon "basically should be on sale in late spring” this year. The reason for the delay is the same certification issue, only VW can’t do anything about it. Turns out Audi is the one handling this. "It’s an Audi engine and they were running way behind (with WLTP certification). They are responsible for the homologation,” the spokesperson said. The engine in question is the turbocharged 2.0-liter TSI four-cylinder with 268 hp and 258 lb-ft of torque, which is paired to an eight-speed automatic gearbox. Both front and all-wheel-drive are expected to be offered, though the latter will be optional. The Arteon has been on sale in Europe for a few months now, though it has a different and more powerful engine in that market. The 2.0-liter turbo four is good for 276 hp and is paired to a seven-speed dual-clutch automatic transmission. VW claims that powertrain will give the Arteon a 0-60 mph time of less than six seconds. Expect the US-spec Arteon to be slightly slower but it won’t by any means be slow. Assuming it does go on sale this spring, it looks like 2019 will be a short model year for the Arteon. If it’s delayed yet again, then perhaps VW will have to skip straight to the 2020 model year. Hopefully, that won’t be the case.